Please take a moment to review, recommend a veteran for the Hall of Fame, or forward to a veteran you may know that could participate in the Stand Down. On Friday, September 22, from 8:00am – 2:00pm at the CT Department of Veterans Affairs Rocky Hill Campus, 287 West Street, Rocky Hill, there will be a Stand Down event where veterans can go for medical screenings, employment and educational assistance, recovery services and a whole host of other services – transportation is available. 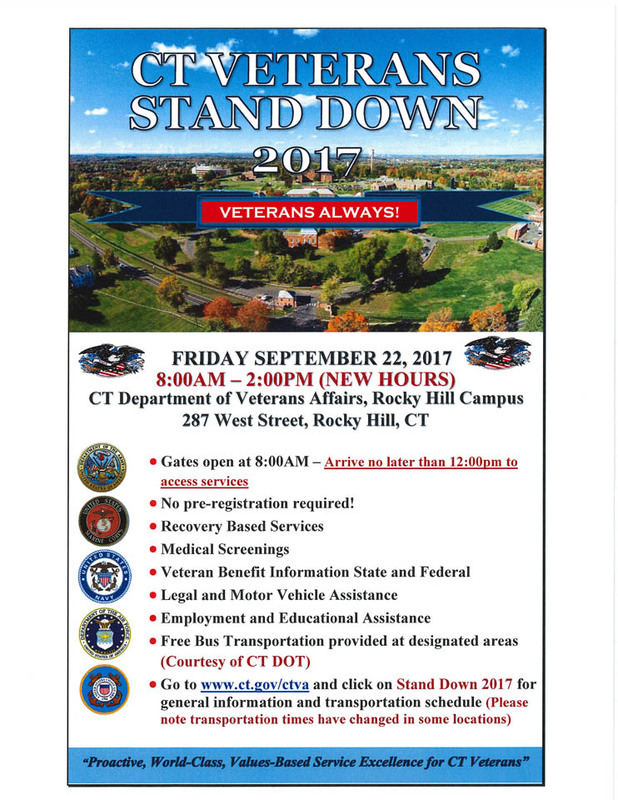 For more information, click HERE and go to Stand Down 2017. 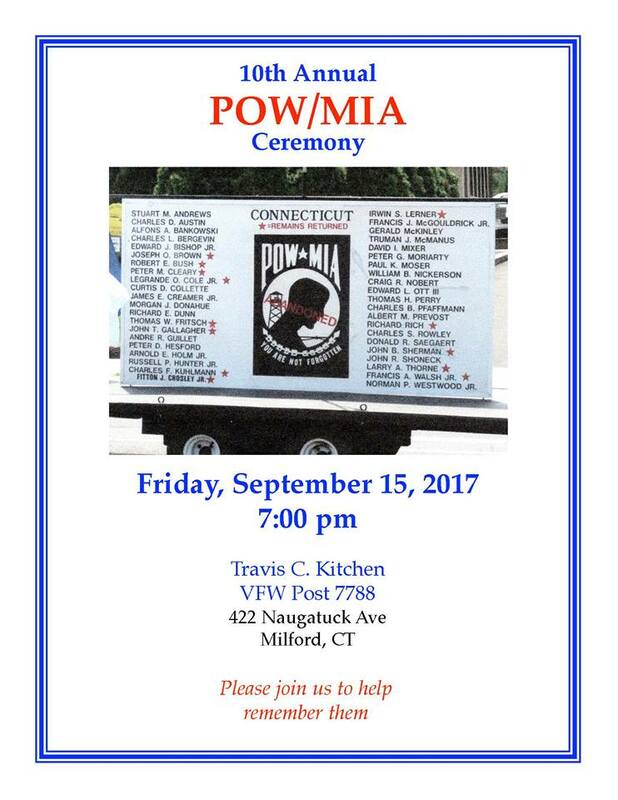 A 10th annual POW/MIA Ceremony will take place on Friday, September 15, at 7:00pm at the VFW Post 7788, 422 Naugatuck Avenue in Milford. All invited to this brief, but moving ceremony focused on Connecticut's servicemen declared missing in action or known to have been a prisoner of war. 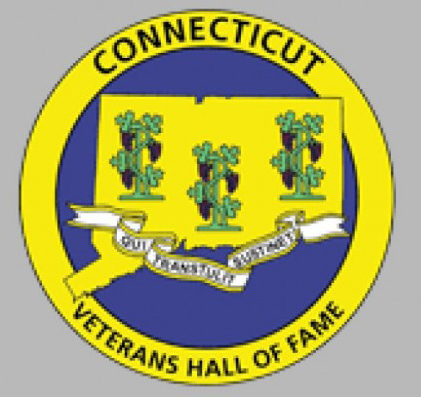 The Connecticut Veterans Hall of Fame honors veterans who served their country and have now dedicated themselves to their community through public service - they are currently accepting nominations for the 2017 class. The awardees will join the 126 current and former citizens of Connecticut that have been inducted to date. If you know a veteran who has made a difference in your community, I encourage you to nominate him or her for this distinction. Veterans can also be inducted posthumously. Must have resided in Connecticut for a minimum of five years. Meet the definition of a "veteran" under the Connecticut General Statutes 27-103. Have received an honorable discharge from the U.S. Armed Forces and provide discharge papers verifying honorable military service. Be of good moral character and have no felony convictions. The deadline for nominations is September 29. The application and instructions are available here. I look forward to honoring the 2017 class of veterans for all they have done for their country and their communities.